I confess. I peeked at my hair for the first time in over 2 months. Normally, I do my wash day routine and don’t even look in the mirror, which is usually fogged up anyway. 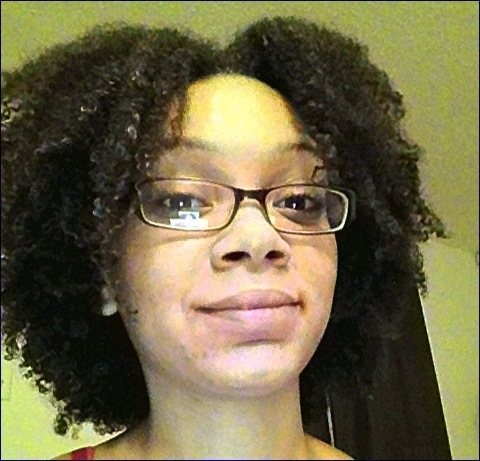 Now that I think about it, I haven’t had my hair out all at once since starting this challenge. I digress. I took down my twisted halo style to install a different updo for the next week or two and I had a moment of weakness and ran to the mirror. O… M… G… It looked way bigger than I remembered (I took pictures, but they just don’t seem to do it justice, imo), even with shrinkage. I stretched a piece in the back to check length and discovered my hair had just passed BSL (right under the bra strap). My hair seems to have rapidly caught up to where it would have been had I not been lazy about my genie locs. That being said, I really dig protective styling now. I’ve discovered some cute styles that are quick and simple (and y’all know I love quick and simple), PS-ing has shaved at least 30 min off the time it takes me to get ready to go out, my hair stays moisturized longer, and I have also shortened the actual washing process of my hair to under 2 hours simply by finger detangling with oil (and water pressure) and leaving my hair in plaits through the whole thing (even moisturizing and sealing). Oh but this will definitely continue beyond the challenge. I hereby resolve to wear my hair out only once in a blue moon and on special occasions. I’m ecstatic!! But being up all day and night Friday, not going to bed until 8 or 9 AM and losing a day to not waking up until 5:26 PM Saturday has taken its toll on my internal clock. Just as everyone else was finishing up their day, I felt like mine had just started. I was ready for breakfast and “news” (internet buzz) while others ate dinner and had drinks. Here it is 4:04 AM and I’m just now getting sleepy. 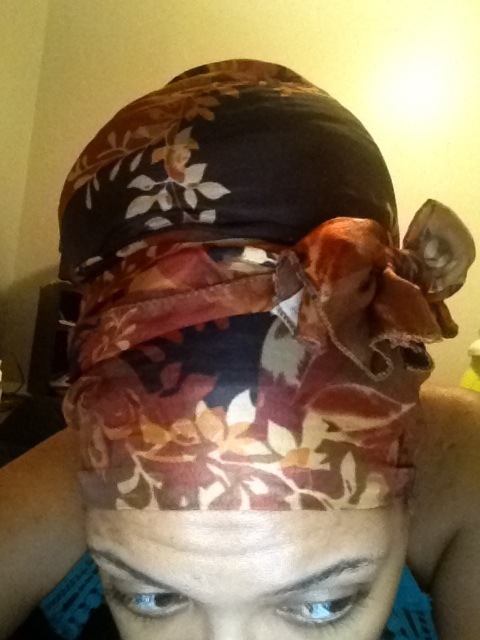 Here’s a quick pic of my hair wrapped up for bed. I’m bunning my hair (sans Marley hair, I’m proud to say) for the better part of winter. I wanted to take a pic with my hair exposed, but I’m too sleepy to have to tie my hair up all over again. Lazy, I know. To make up for my laziness, I’ll throw in some fro shots from earlier today… or yesterday…? I need to go to bed. Clearly. Anyway, excuse the leftover product. It was still a little wet from re-moisturizing in the shower.